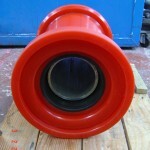 Having your used or worn out rollers or Polyurethane Wheels re-covered or repaired will save you money and keep your machines running at peak efficiency. 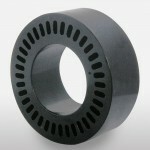 By throwing away your used and worn out rollers, you endure the expense of ordering completely new parts, core and all. 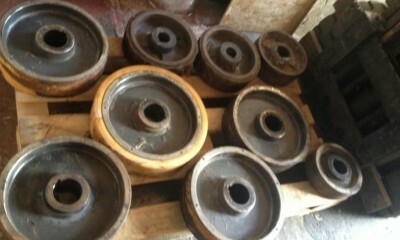 In most cases the body of your roller, or metal core, is still in good condition and only the rubber is worn out. 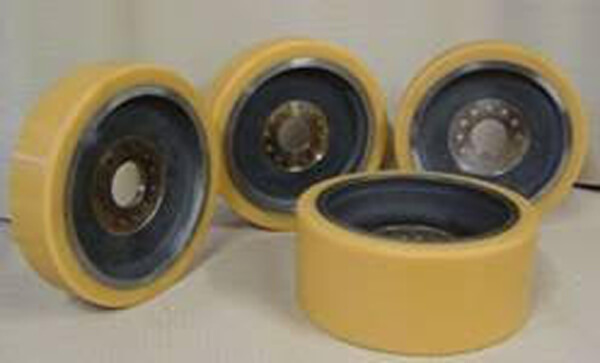 We can recover or repair your rollers and polyurethane wheels for a fraction of the price of having the compete roller replaced. 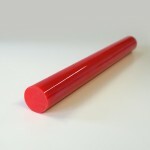 We can strip back your rollers and recover the core with the highest quality polyurethane and finish to your exact specifications. 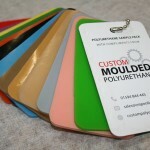 Our in-house processes make us very competitive from initial design concept right through to delivery, whether recovering used polyurethane rollers/wheels or supplying new ones, we strive to manufacture quality products that exceed your durability and performance needs. 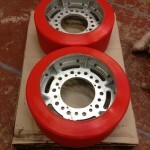 For more information please see our polyurethane wheels page, or contact us to discuss your project.